My remote key does not open my driver's door. It opens the other three. There are a couple possibilities. The lock actuator motor in the left front door could have gone bad. There could be a broken wire, the most common spot would be in the door jamb where the wires bend. 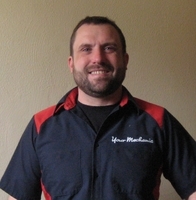 A qualified mechanic from YourMechanic can come out and diagnose your door’s problem. Q: Can I drive my car with a dead/low key fob? Q: Doors wont lock or unlock with fob or switch?